Forest Security, Inc. is well known for providing state-of-the-art home security systems and home automation products for customers throughout the Greater Chicago Metropolitan Area. As a family-owned and operated business, we have been customizing and installing only the best home security systems for nearly forty years. Our Forest Security technicians, not subcontractors, have the talent and expertise to ensure that your security systems are the finest in the region and also have more than a century’s worth of combined experience in the industry. It comes as no surprise to learn that whenever our neighbors from Bartlett are searching for the most exceptional wireless home security systems, Forest Security is the only name you need to know! 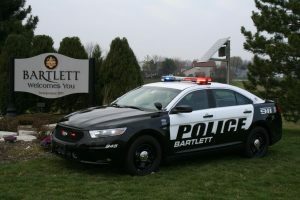 Bartlett is a neighborhood of over 41,000 residents that is located in Cook, DuPage and Kane Counties. Forest Security is conveniently located only a little over 20 miles east of Bartlett . Our technicians are thoroughly trained on all home security systems and home automation products. They are well aware what is required to deliver the complete peace of mind our Bartlett customers deserve. In fact, prior to stepping foot into any of our Bartlett customers’ homes, our wireless security systems installation experts have no less than five years of field experience and are licensed and fully trained. Forest Security never uses subcontractors to provide services for Bartlett home security systems so clients can rest assured that we will be in control of all of their services from start to finish. You can rest assured that you will receive unparalleled services from Forest Security. That’s because we are distinguished for consistently placing customer satisfaction as our top priority. Satisfied customers is the key to our company’s success. Our customers tend to remain life-long customers, and they refer their families, friends and colleagues to us when they are searching for the best security systems. If you have been looking at home security system, it’s time to call Forest Security, Inc. at: (708) 452-2000 and speak with one of our security consultants. We’ll let you know what your best options are and will email a specialized proposal to you. We always customize home security systems to suit our clients’ homes as well as their budgets!